April 15-- Mr. George Wilcher, age 75 of Adrian passed away on Sunday morning, April 14, 2019 at his residence. A native and lifelong resident of Treutlen County, he was one of seven children born to the late Anderson Reed and Pearl Love Wilcher. Mr. Wilcher had worked as a Carpenter for Adrian Homes and as a Painter with Ziegler Painting of Dublin. In addition to his parents he is preceded in death by two sisters, Mary Nobles and Mildred Barrett and a brother, John “Bubber” Wilcher (Agnes). He leaves behind, his daughter, Lisa Wilcher Vessell, Soperton, GA, two brothers, James “Jim” Wilcher, Newborn Wilcher (Sandra), Adrian, GA, a sister, Martha Horton, Rincon, GA and several nieces and nephews. Funeral services will be at 11:00 am on Wednesday, April 17, 2019 in the Williams Chapel of Sammons Funeral Home in Soperton with Pastor Charles Parrish officiating. Mr. Wilcher wil be laid to rest in Shiloh Cemetery. His family will receive friends on Wednesday, at the funeral home, from 10:00 am until the hour of the service. 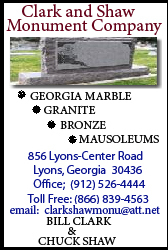 Sammons Funeral Home in Soperton is in charge of arrangements.